Welcome to Morning Star Agency Insurance Services! Morning Star Agency Insurance Services is an independent California insurance agency specializing in providing quality insurance throughout California as well as various states. We’ve been serving our clients since 2000 with over 30 years of insurance experience. With Morning Star Agency Insurance Services, you will receive a hands-on approach so we can get to know you and tailor your insurance policy to fit your needs. Since we are an independent agency, we work with many great insurance companies, giving us the opportunity to find the best policy for you at the lowest price. Regardless of what types of insurance you need, we can help. If you are looking to save money on your auto insurance or get more coverage, we can help. 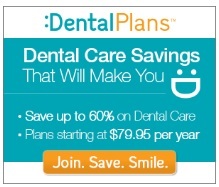 We have many great health insurance options, including dental plans that could save you up to 60% on all of your visits. Whether you own a home or you’re renting, we have home insurance policies that can protect your home and your possessions. Business owners will find that we have business insurance plans that will fit any business no matter how big or small it may be. We can help cover your office, vehicles, workers compensation, and provide any other coverage you may need to protect your company. Find out why we are different than those huge insurance companies. You will get personal service and lasting relationships with knowledgeable insurance agents and staff. We look forward to getting to know you and help you find the best possible insurance coverage at great rates!